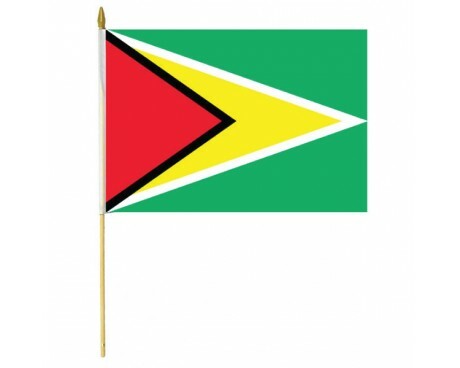 Guyana, like many other nations, gained its first national flag after it became independent from the British Empire following the second world war. That first national Guyanese flag followed after several colonial flags that represented Guyana during the time that it spent as a British colony. 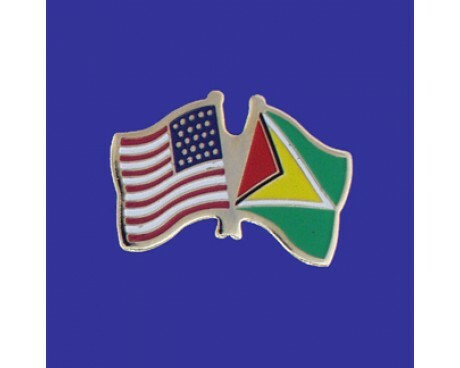 The Guyana flag has come to be known as "The Golden Arrowhead" in honor of its unique design. The flag has a green field with several triangles stretching out from along the hoist. The first triangle is red, and it is bordered by a black triangle. A longer yellow triangle stretches out past those two, and it is bordered by a white triangle. 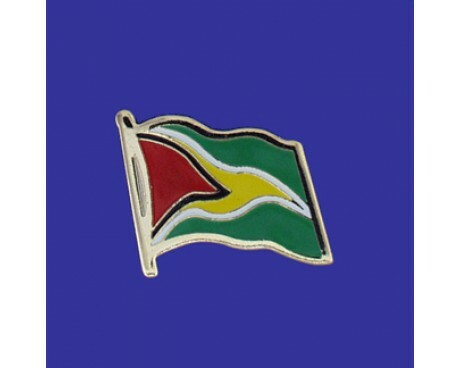 Each color in the Guyanese flag has symbolic value. The green field represents the nation's agriculture and its vast forests. The red triangle represents dynamic action and the zeal of the citizenry, while the black triangle represents the nation's endurance. The gold portion represents the nation's mineral wealth, while the white stands for the country's rivers and waterways. The first Guyana flag to come into use was a colonial flag that was authorized in 1875 by the British government. It was a standard colonial flag of the period, with a blue field that displayed the Union Jack in the canton and the colonial seal in the fly. The colonial seal depicted a sailing ship and sea in honor Guyana's importance to the British navy and trade network. The seal was simplified and placed on a white disc in 1906 to create a design that was used until the white disc was removed in 1919. Guyana's colonial flag changed once again in 1955. The white disc returned to the flag, and the older seal was replaced with a different sailing ship displayed on a shield with the colony's motto beneath it. That was the last colonial flag to represent Guyana, and it fell out of use when the nation gained its independence in 1966. 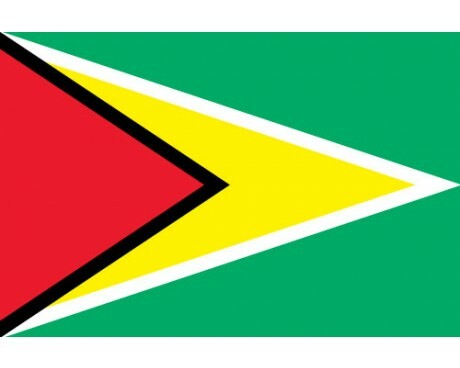 Guyana adopted a new flag as soon as it became an independent state. The government opted to use a design that had been proposed by the American scholar Whitney Smith, with a few changes that had been suggested by the British College of Arms. The design has not been changed since it was first approved and adopted as a symbol of the nation.